Tucson, AZ, WPH Press, 9/26/17- The WPH was thrilled to honor the WPH Outdoor Player’s Cup champions and X-Fest champions at the 2017 3WallBall Outdoor World Championships. The WPH Outdoor Player’s Cup champion recognized the season-ending #1 men’s and women’s player on the 2017 WPH Outdoor 6 season. 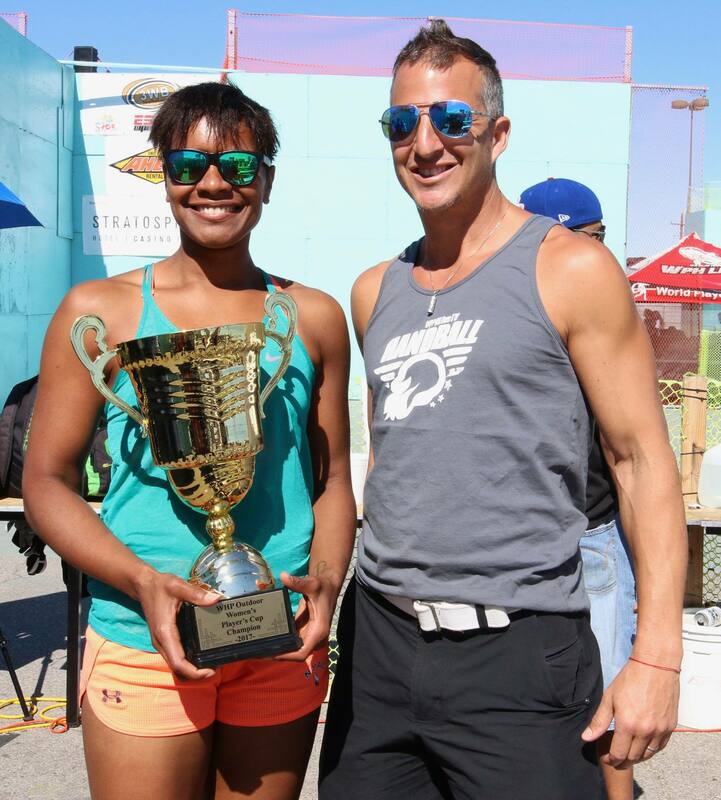 The X-Fest champion recognized the overall men’s and women’s champion at the 3WallBall Outdoor Championships, with the top men’s and women’s star earning X-Fest points in 1-Wall Small Ball, 1-Wall Big Ball, 3-Wall Small Ball, and 3-Wall Big Ball singles. 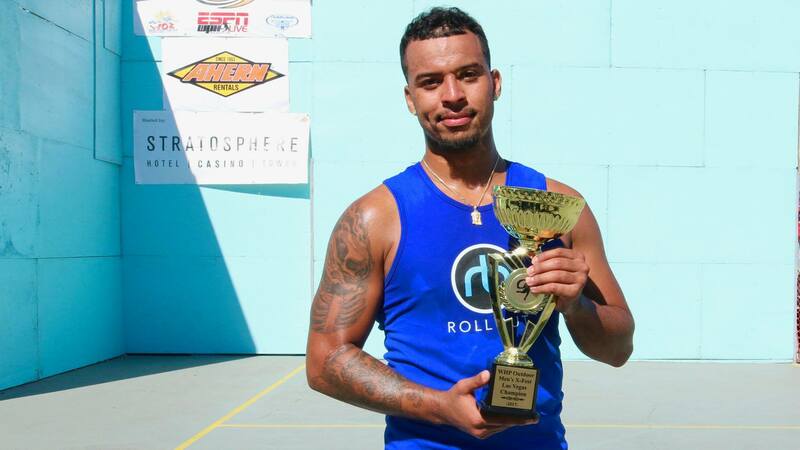 Samzon Hernandez earned his second WPH Outdoor Player’s Cup, outpointing Timbo Gonzalez by just one ranking point through seven WPH Outdoor 6 ranking events. Hernandez won one singles title (Royal Flush), one doubles title (Royal Flush) and advanced to five singles finals during the WPH Outdoor 6 season. “I came really close to winning this a couple of years ago and it’s cool to have won it again,” stated Hernandez. 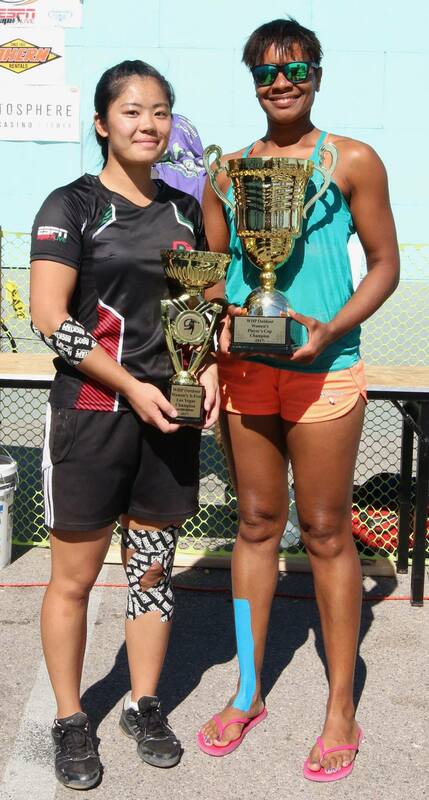 Sandy Ng won her first X-Fest championship at the 2017 3WallBall Championships, winning the 1-Wall Small Ball singles, the 3-Wall Big Ball singles, and finishing second in the 1-Wall Big Ball Singles on Las Vegas’ WallBall courts. Ng’s sensational talent was on display against the world’s best women’s outdoor stars, as her two-handed attack was too potent to stop. Ng will be on the short list of favorites to win the X-Fest for many years. “I love this tournament and I feel like I had luck on my side to win the X-Fest this year,” stated Ng.